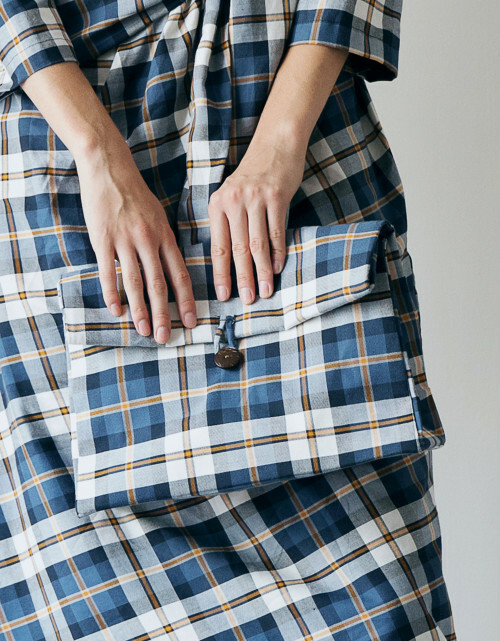 Lacy Plaid Bag is inspired by our beloved fold over Parley Stripe Bag design. With a dark blue tartan pattern to make it look distinguish from others. To carry all your essentials for the day.